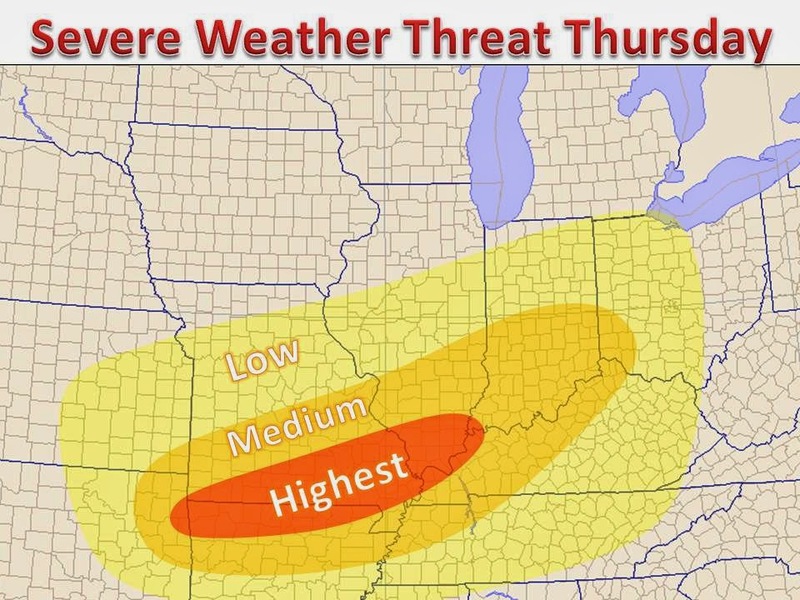 Another round of severe weather and heavy rain will impact the Ohio River valley Thursday. A strong storm system that brought severe weather and 80+ degree temperatures to Minneapolis is pushing south and east. With a humid air mass in place and a cold front crashing south east, storms will have an ample amount of energy to work with, as well as a strong trigger in the form of a cold front. The main threat for severe weather will be damaging winds, along a squall line, with embedded areas of large to damaging hail. Meanwhile, heavy rain looks to be an even larger problem. With deep Gulf moisture streaming north ahead of the strong cyclone over the Midwest, dew point and humidity will be primed for heavy rain. Precipiatable water values support almost a half of a foot of rain, Luckily, this area is running somewhat below average in recent precipitation. 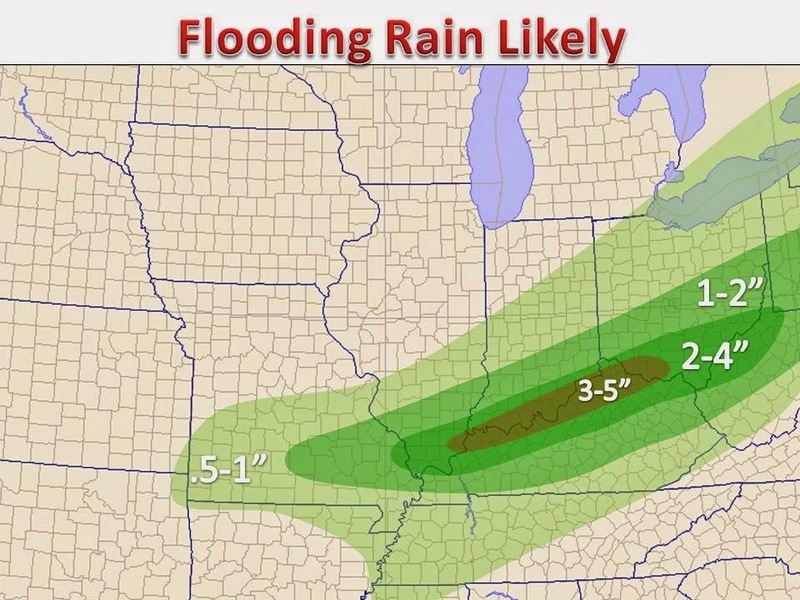 At the same time, 5" of rain across the Ohio River could cause major problems. A flash flood watch has been posted by the National Weather Service, in anticipation of the heavy rain over the next 48 hours.